Information about the different types of 401k Plan. Everything you need and want to know about your 401k Plan. Can You Contribute to a Roth IRA and 401K? Can you contribute to a Roth IRA and 401k? Yes, you can contribute to a Roth IRA and 401K at the same time. In this post I’ll share my experience of simultaneously contributing to a Roth IRA and 401K, as well as the requirements you’ll need to meet in order to do the same. When it’s time to get serious about your retirement, it’s not a stretch to imagine you might start thinking beyond your 401K. If you have a 401K at work, that’s great. Your employer cares about you and your ability to support yourself in retirement. If your employer is offering a matching contribution, well, you’ve struck gold. That’s free money. The next logical step is to consider a Roth IRA. Before you consider a Roth IRA, you should be fully taking advantage of your company 401K. By that I mean contributing enough annual dollars to get the full match that the company offers. It’s likely that you are already doing that so let’s dive into the next step of also investing in a Roth IRA. As a side note, if you don’t have a 401K, then consider reviewing the Difference Between Roth IRA and Traditional IRA. Remember that the Roth IRA and 401K are just accounts where you keep your investments. They aren’t actual investments. They are just the account (or vehicle, as some put it) where the money is held. These accounts are great because they get special tax treatment. You are able to contribute pre-tax dollars to a 401K. This means that no tax is taken from your money that is placed into the 401K. If you earn a dollar and put it in your 401K, you pay $0 in taxes on that dollar. If you earn another dollar and put it in your checking account instead, you have to pay taxes on that money. There is a limit to your contribution though. It changes every year usually, but right now you can contribute $18,500 (2018) to your 401K. You can’t contribute pre-tax dollars to a Roth IRA. You can only contribute dollars that have been taxed already. However, unlike a 401K, when you distribute that money to yourself in retirement, you don’t have to pay a tax. Nice, huh? For more on this account see the Roth IRA Explained. Because the Roth IRA and 401K have opposite tax treatments, the IRS allows you to contribute to both at the same time. The only thing you have to worry about is the income limitation set on the Roth IRA. Your ability to contribute to a Roth IRA starts to “phase out” at $189,000 (2018) for those who file “married filing jointly”. Here’s a strategy I follow. To contribute to both of these accounts, just make sure you start with contributions to the 401K to get the match. Then, switch to contributing to the Roth IRA. Once that is maxed out for the year ($5,500 for 2018), then you can go back to the 401K until you reach your annual limit there. I did that for the tax years 2016 through 2017 and saw significant increased in my tax-advantaged retirement investing accounts. Not to mention, I have two different account with different distribution rules. So now I can consider things like using my Roth IRA for a down payment. How about you, do you contribute to a Roth IRA and 401K at the same time? Everything you need to know about your 401k contribution Limits 2018. Most families don’t have the advantage of multiple tax sheltering opportunities. A small business, a farm, or nine children are available to only a few, so tax reducing techniques may difficult to come by. As a result, perhaps the single greatest tax sheltering device that most families possess today is their 401k retirement plan. In this article, we will discuss 2018 contribution limits. (Related: 401k contribution limits for 2019). We will also assess 401k catch-up contributions and 401k matching rules. 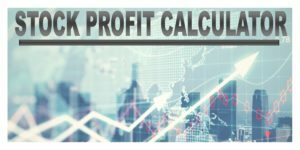 For 2018 the 401k limits are set at $18,500. This is the maximum annual 401k contribution allowed by law. This is a figure that has climbed 65% from $10,000 in 1999, thereby allowing participants to have larger retirement plan tax deductions than ever. 401k contribution limits 2018 will remain the same as in 2017. With 2018 contribution limits now attached to certain inflation indexes, the IRS and Treasury departments have determined that there will be no increase in 2018 maximum contributions. Many experts were expecting a decrease of 2018 401k contribution limits, primarily because of the somewhat deflationary environment we currently find ourselves in. It is important to note that all future adjustments will also be tied the same index. Check out our article on the rules for 401k distributions. In addition to the above, 2017 401k catch-up contributions are $6,000. The 401k catch-up gives participants 50 years old and older the ability to sock away a little extra before retirement. The 2018 401k catch-up will also remain at $6,000. Future catch-up contributions will be indexed for inflation in the same way deferrals are currently. If you’ve been a part of a retirement plan recently, you may have lost your 401k match. Many businesses, both small and large, have simply found that cutting the retirement plan match makes sense to the ongoing health of the business. Employers are looking under every stone for ways to save money, and 401k matches are not immune. A 401k match typically involves employer contributions to the employee’s account based upon the employee’s deferral. Many employers match dollar-for-dollar, where others contribute less, i.e. 50¢ on the dollar. Employers are allowed by law to match up to 6% of the employee’s salary. For example, if an employee makes $50,000 per year, the maximum employer match to the employee’s 401k account would equal $3,000. For those of you who are self employed read about the safe harbor 401k plan! 401k contribution limits for 2017 and 401k contribution limits for 2018 are set at $18,000 and $18,500 respectively. Catchup contributions for 2017 and 2018 are set at $6,000. 401k Matching rules allow for matching up to 6% of the employee’s salary. For many when starting their new job thought of participating in a 401k plan was exciting. A place to store thousands and thousands of dollars, safe and secure, awaiting retirement. Then life happened. The transmission went out. Your son broke his arm. The tree fell onto the house. And that was just last month! Now what? Well, you invade the 401k, of course. But, as a wise man once said, “It is characteristic of wisdom not to do desperate things.” So, before we do desperate things, let’s look at some of the pros and cons of taking out a fidelity 401k loan. 401k loans are fairly easy, if your employer offers it. Actually, it is almost too easy. Please remember, you are borrowing from your future. Your entire retirement may depend on the precedent set by you on this matter. No interest. If you do pay interest, it goes right back into the account. That’s a pretty good price to pay for money. No formal application to fill out and no waiting for approval. Since there is no credit check or waiting lines at the bank, the process can be done very quickly. 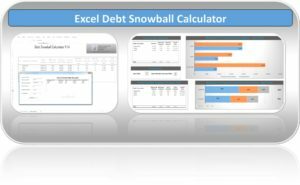 Our Excel Debt Snowball Calculator Is One Of The Best Tools For Becoming Debt Free! A 401k loan default. If you terminate your employment, your loan will need to be paid back almost immediately. If you don’t pay back the loan, the borrowed funds are considered a 401k distribution. And you will have federal income tax due on your tax return, and also a 10% penalty to boot. Possible unforeseen fees. Pay attention to the fine print and ask questions. Several times. Loan Limits. Most often the amount you can borrow from your 401k plan is the lesser of $50,000 or 50% of your plan balance. You will have to pay it back. Now that statement seems obvious, but repeat the phrase, “I will have to pay this back” repeatedly before you initiate the paperwork. Not all plans allow for 401k loans. Even though the law allows borrowing from a 401k, your employer doesn’t have to. 401k Loan Fidelity – What are some alternatives? First, do you really need the money? Is a 401k loan absolutely necessary? Absolutely? Can you borrow the money from a family member? Can you sell something of value that you don’t really need anymore? This is often the best way to raise some cash. Have you considered a home equity loan? 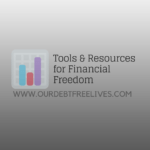 Can you extend the current debt that you’re borrowing against your 401k for? Do you have any low-interest credit cards? Yes, credit cards. Really. Not all would agree, but in most situations I would advise the use of a credit card rather than taking out a 401k loan. Yes, 401k loans are fairly straightforward. You borrow the money from yourself, and you pay it back over time. You can do it. It is legal, but just remember that you may not like the consequences. As you read thru this article keep something in mind………the IRS has permitted tax benefits to families by way of the 401k for many years. Primarily intended to permit individuals to salt away extra cash for their own retirement, participants have responded. 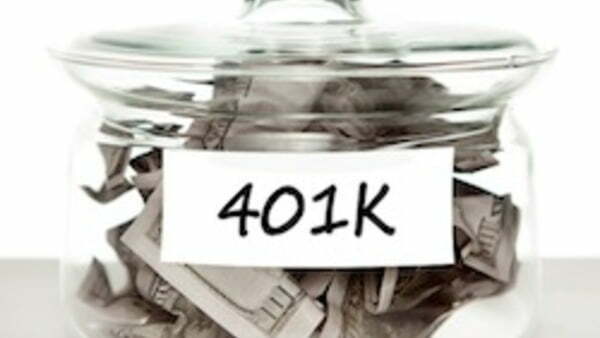 401k plans now make up the largest employer-sponsored retirement account type in existence. Knowing the 401k distribution rules will help you decide the best path for you. But, you’re reading this because it is now time to retire or it is time to tap the 401k for some much needed cash. Whatever the reason, care must be taken to abide by the 401k distribution rules. Otherwise, Uncle Sam may become more involved in your life than you ever believed he could be. In an attempt to simplify the concepts of 401k withdrawals, I have boiled them down to two types. 2. Withdrawals made at the age 59½ or older. An early 401k withdrawal has the likelihood of creating two taxable situations on your tax return. In addition to paying Federal income tax on the amount withdrawn, 401k early withdrawal penalties at a rate of 10% on the distribution amount will generally be required of you as well. Congress had enough foresight (I can’t believe I actually wrote that) in the early years to understand that if participants were going to contribute to their own 401k account, they should have some access to their money. Expenses for medical care for an immediate family member. Costs directly related to the purchase of a principal residence. Payments of directly related educational fees, including room and board, for the next 12 months of post-secondary education for the employee or an immediate family member. Payments necessary to prevent the eviction of the employee from his/her residence. Certain expenses relating to the repair or damage of an employee’s principal residence. Payments made to the beneficiary after the death of the participant. Substantially Equal Periodic Payments after separation from service. Payments made to a participant after separation from service if the separation occurred during or after the calendar year in which the participant reached age 55. More on this below. Payments made to an alternate payee under a qualified domestic relations order. Distributions to a participant for medical care up to the amount allowable as a medical expense deduction. Distributions to correct excess contributions, match, or deferral. Although the IRS makes provisions for early distributions, your employer’s plan does not have to allow those distributions. Many employers do not allow premature distributions because of the added administration costs incurred. Let’s re-phrase this exception. 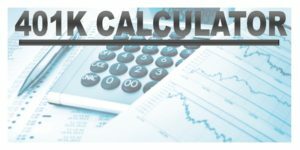 The 401k distribution rules state that you can begin taking a 401k early withdrawal in the year you turn 55 or later from your current employer only. Therefore, it may make good financial sense to roll older 401k’s into your current employer before you retire. If your intent is to withdraw 401k assets at retirement, 401k withdrawal laws allow for these three options. Each item assumes that you’re at least 59½ and you are no longer employed by your employer. Take a lump sum. Your provider will write you a check after holding out 20% of the balance. This 20% is simply a required tax deposit on the 401k distribution. 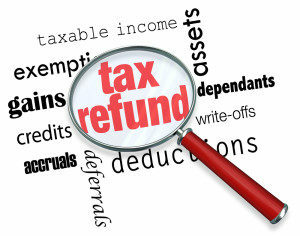 As you file your taxes the following year, the withdrawal will be included in your total income via a 1099 tax form. Whether the 20% Federal tax withheld is enough or too much depends on your particular tax situation for that year. Do nothing. Leave your plan assets with your employer. There is no tax consequence as no money is withdrawn. Rollover 401k to IRA. There is no tax implication of this is done correctly. 401k withdrawal rules can be extremely complicated. Contact your financial advisor or CPA for more help. A safe harbor 401k plan is a unique type of retirement plan with two significant differences from a traditional 401k plan. One, it requires mandatory employer contributions to employee accounts. Second, it gives an employer an ability to offer a 401k plan to employees without any required discrimination testing. The Safe Harbor 401k plan permits eligible employees to defer a portion of their salary to their own retirement plan account. Employers then contribute to the participant’s account on behalf of eligible employees. And, these employer contributions come in the form of either matching or non-elective amounts. Most any type of small business is eligible to establish and maintain a safe harbor 401k plan. Sole proprietorships, LLC’s, partnerships, and corporations, including S corporations, are examples. has performed one year of service and worked 1,000 hours in the year beginning with the date of hire. Union employees and non-resident aliens without United States income may be excluded from participation in the plan. One important thing to remember is that an employer may not establish more restrictive requirements than those listed above. However, employers may set up less restrictive requirements for employee entrance into the safe harbor 401k plan. Employer contributions are tax deductible for the employer — up to 25% of compensation of all eligible participants. Employee elective deferrals are excluded from the employee’s income for Federal Income Tax purposes. Tax-deferred growth potential is possible — any investment earnings grow tax-deferred until withdrawn. Vesting refers to the participant’s ownership rights in the value of his or her retirement account. Often, a traditional 401k plan required participants to wait a certain number of years before they can access the employer matching contributions. However, a safe harbor 401k is unique in comparison to other types of 401k plans in that all employee and employer safe harbor contributions are fully vested immediately. There is no waiting period for employees to access the matching contributions made by employers. Generally, the deadline to establish a new plan is anytime between January 1 and October 1 of the applicable year. Under a safe-harbor plan, an employer can match each eligible employee’s contribution, dollar for dollar, up to 3% of the employee’s compensation, and 50 cents on the dollar for the employee’s contribution that exceeds 3 percent, but not over 5%, of the employee’s compensation. Alternatively, employers may make a non-elective contribution equal to 3 percent of compensation to each eligible employee’s account. Non-elective contributions essentially means that contributions are made by employers to employee accounts regardless of employee contributions. Because of the vested matching contributions required of the employer, the safe harbor 401k does not call for broad discrimination testing. The safe harbor employer contributions stand in the place of discrimination testing. Attracting and retaining key employees is easier with a 401k plan. A 401k plan can help in providing retirement income for eligible employees. Elected Roth contributions are allowed in safe harbor 401k plans. A 10% penalty is typically applied to all early distributions on safe harbor 401k plans, as well as traditional 401k plans. Early distributions are distributions that occur before the age of 59½.